The officials at the gate were expecting us — a dozen guards with armbands marked "local safety committee". The door has always been open on our other visits. 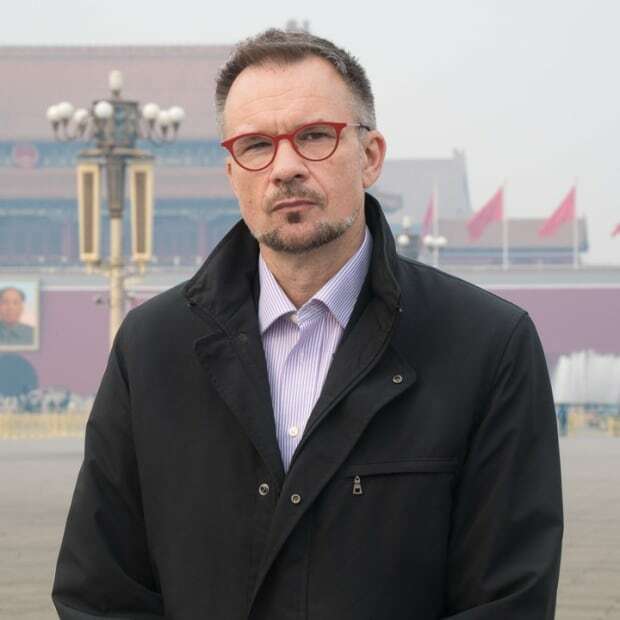 This time, they seemed determined not to let a CBC reporter into the Beijing apartment building. "For security reasons, no foreigner," said the man in charge. "No cameras. It's closed," he said. That is, until our host arrived to argue with the guards. "Why are you wearing the local committee badge?" Pastor Xu Yonghai asked the guard. "You're with the national security agency." The order to stop us from seeing him came from higher up, he suggested. The pastor escorted us up to his apartment. With a cross on one wall and a row of Bibles on a bookshelf, his one-room home doubles as a church once a week. 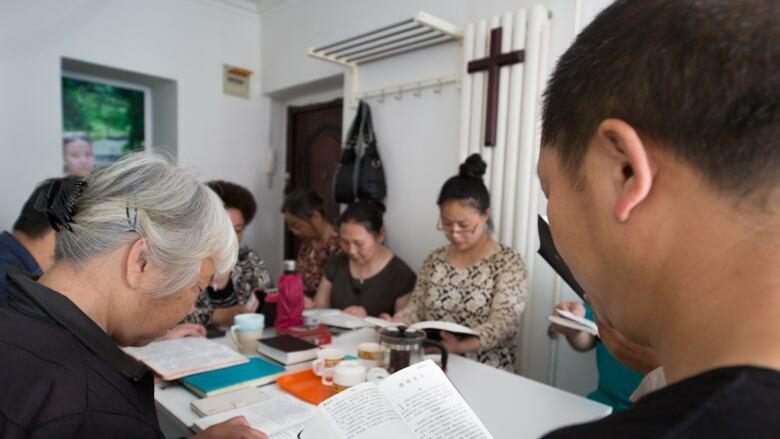 There are thousands of these so-called house churches in China, a way for the fastest-growing Christian movement in the world to remain low-key and try to avoid a clampdown from government officials. China's constitution guarantees religious freedom, but since President Xi Jinping took office six years ago the government has tightened restrictions on churches it cannot control. Religion is seen as a challenge to the Communist Party's power, especially now that Christians likely outnumber the party's 82 million members. "The political pressure on us is growing," Xu said, over tea at his kitchen table. "The room for free belief has shrunk." Like the pastor, many of his 30 or so parishioners at the Holy Love house church consider themselves dissidents, fiercely opposed to the government's attempts to restrict religious movements in China. And like the pastor, most of them have served time in jail for their protests. He's convinced his phone is tapped and worse is yet to come. "Just like you were obstructed today, police have stopped our people from attending the service," Xu said. "We had to move our meetings from Fridays to another day, and we frequently change locations." Religious groups have long played this kind of cat and mouse with Chinese authorities, but in recent weeks Beijing has asserted control. Protestants have seen churches closed and their crosses torn down under new laws. Catholics have seen a controversial agreement between China and the Vatican, with Beijing apparently formalizing its power over church leaders. 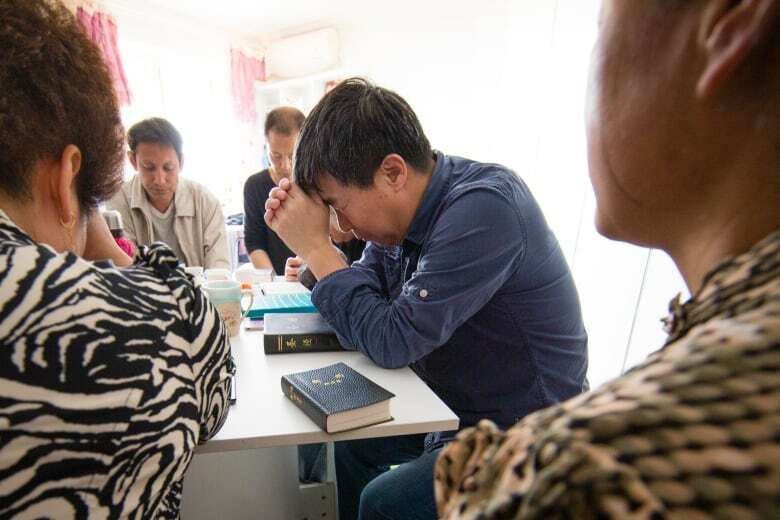 In China's southern Christian heartland, dozens of house churches have been raided, sometimes "violently and aggressively", said Pastor Zhang Chunlei from Guizhou province. 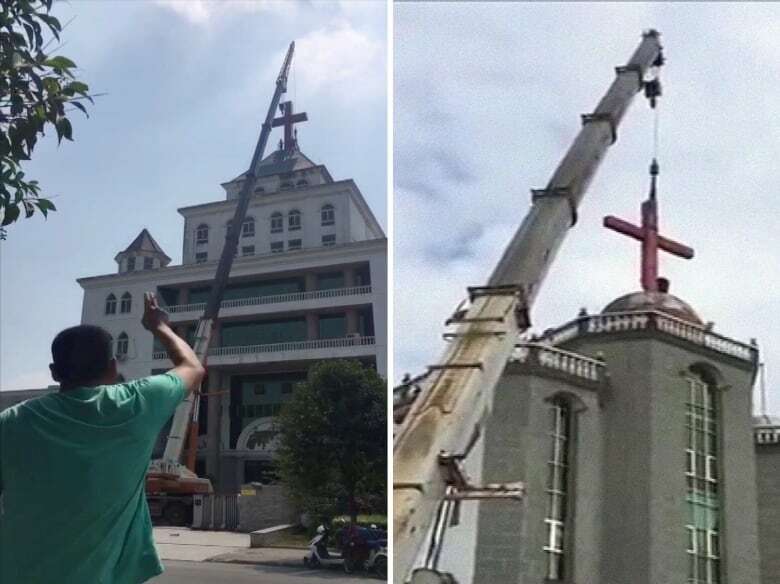 He said police removed crosses and other religious material from his church in the city of Guiyang and told him the gatherings are illegal. "We never accepted that law," said Zhang. "To attend the prayer session is a right bestowed onto us by God." "The authorities are very powerful," he said. "We cannot confront them, but we will find other ways to pray." One of the country's largest unofficial churches, Beijing's Zion Protestant church, was recently ordered shut after city authorities said it didn't have permission for "mass gatherings" or to distribute "illegal promotional material." The Zion church had for years operated with relative freedom, hosting hundreds of worshippers every weekend in a large, specially renovated hall in north Beijing. But in April, it rejected official demands that it install surveillance cameras inside. The order to close came soon after. "I fear that there is no way for us to resolve this issue with the authorities," Zion's pastor, Jin Mingri, said. His followers received a notice from the local religious affairs bureau. Believers, it said, "must respect the rules and regulations and attend events in legally registered places of religious activity." Even government-sanctioned churches have been ordered to reduce their visible presence. Cranes have shown up at many to remove the large red crosses from rooftops, as parishioners pray, sing hymns and watch. In one video circulated on China's internet, a man is shown yelling at workers dismantling a cross in Xingyang, Henan province, in September. "Religious people are not bad people," he shouted. "Why are you treating us like this? You will be punished." Beijing has taken a different approach with the country's 10 to 12 million Catholics: negotiations with the Vatican. Last month it came to terms with the Holy See, ending a 67-year dispute over who has the final say in choosing Chinese bishops. Since 1951, Beijing has insisted it has to approve them, while the church maintained the ultimate decision is up to the pope. Pope Francis declared the agreement a "new phase" in his relationship with the Communist leadership, "which helps to heal the wounds of the past and maintain the full communion of all Chinese Catholics." For decades the split forced the country's Catholics to choose between worship in state-sanctioned churches — under Beijing's control — or going to underground services with clergy loyal to the Vatican. Details of the new agreement have not been made public, but observers in Rome say it will likely allow Beijing to vet a pool of potential candidates for bishops, leaving the Pope to choose among them. 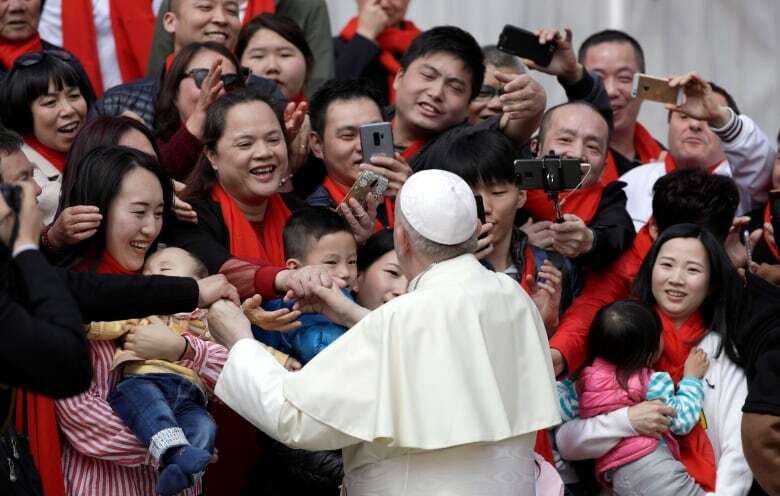 Pope Francis has asked Chinese Catholics to support the Vatican's co-operation with Beijing, but given the Communist Party's opposition to religion — and its history of persecuting church leaders and followers who don't toe the line — the deal has been controversial. The head of the Catholic Church in Hong Kong, Bishop Michael Yeung, called the agreement a betrayal that won't protect religious rights. The deal "could not stop the suppression," he said. "The churches will still be torn down.… The young folks will not be allowed to go to church." He worries priests who run afoul of the government will continue to be punished. "There will still be times when they are made to disappear," Yeung said. On a recent Sunday at Beijing's Church of the Saviour, the service went ahead as usual. The choir sang, people prayed. The ornate church in the city's north end looks a lot like historic Catholic cathedrals the world over, but this one is run under the supervision of Chinese authorities. And the talk on this Sunday was about potential changes for China's Catholics. Many parishioners didn't want their names used or their views published. A few did. 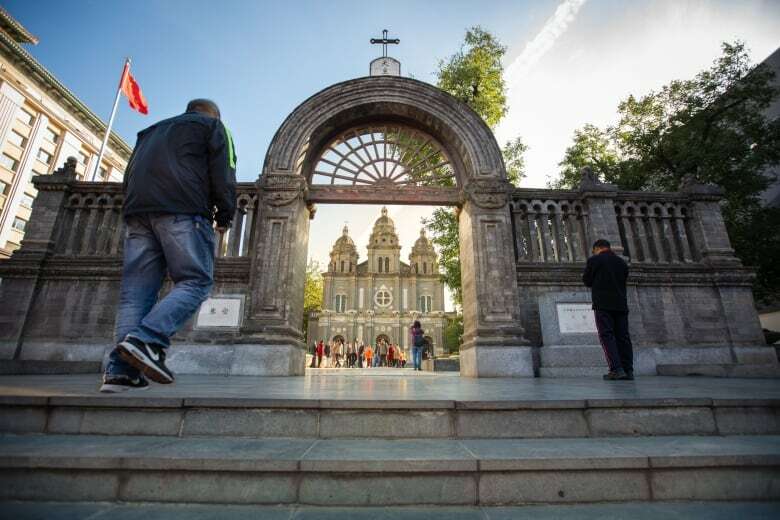 "I really don't want the church to have too much contact with politics," said university student Liu Haotian, but he said he hopes the deal will guarantee the rights of Catholics to pray. Han Yu, a 37-year-old travel company manager, was hesitant. "For us Catholics, there will be some loss, regrets and even some feelings of helplessness," she said. But in the long term in China, "there may be more people who will be able to become Christians." Those numbers of followers are growing quickly. But so is Beijing's determination to control which religious leaders they follow.